Smith South-Central Sales Company announces the SSCS KEY Harvester Dealer program for 2016. Smiths South-Central Sales Company is the exclusive Oregon® Harvester Distributor for Texas, Oklahoma, Arkansas, Louisiana and Mississippi. SSCS Territory Mangers are experienced Harvester Cutting System experts to help you save money with added value Oregon® Harvester Cutting System products. Smiths South-Central Sales Company offers a full stocking program for our Dealers to deliver the quality value added Oregon® Systems to professional loggers and harvesters of forest timber and wood product. Call your SSCS Territory Manager for the details how to become the SSCS KEY Harvester Dealer for Oregon Harvester Cutting Systems in your area. SSCS offers lock-in discounts with FREE product offerings for the SSCS KEY Harvester Dealer. SSCS is committed to serving you with fast courteous service from the time we take your order to delivery, Smiths will meet whatever need. SSCS offers signage, advertising, and Expert training in product and safety with a proven track record of successful distribution of Oregon® Harvester Cutting System Products. Call us for your Forestry Product needs. We stock and deliver with fast courteous service and technical help. Smiths South-Central Sales Company is proud to be the New Distributor of PUMPTEC Pumps, accessories and PUMPTEC repair kits for the Chemical or Spray delivery market in our five state area of responsibility. PUMPTEC offers many different designs of pumps for fast easy replacement of existing pump equipment or if you want to design your own spray equipment we can offer you the product you need to make your spray application smooth and efficient. PUMPTEC can meet many diverse spray needs; whether you are in the AG Fertilizer or Herbicide, Pest Prevention, Carpet Cleaning, Spray Cleaning, or OPE Herbicide product delivery business, if you need something we do not have we can help with fast build-able and drop ship capabilities. PUMPTEC build the pumps for your equipment or spray or cleaning rig needs. We can also help in the design of products you need concerning your spray delivery requirements! All Spray applications that require 12 volts for portable applications or 120 volt products, PUMPTEC can deliver. If you are in the spray equipment business Smiths South-Central Sales and PUMPTEC can be your resource for fast turnaround on parts and pumps along with PUMPTEC system designs. Check with our Territory Managers about your sprayer delivery needs. Stock in House. Taking and shipping orders as of May 18th! PUMPTEC is a U.S.A., Minnesota based company started in 1988 with a simple philosophy in mind: build durable, high-quality pumps that work as hard as our customers. PUMPTEC prides itself on working closely with our customers to support their unique needs. Armed with many industry patents, we are constantly striving for new innovations in design and performance. PUMPTEC specializes in custom assemblies that deliver results specific to our customer’s application and industry. Our designs of high performance pumps make us a strong consideration for any existing or new applications. 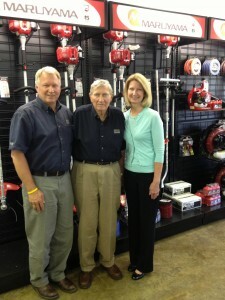 Smiths South-Central Sales Company is now the Distributor for Xtreme Electrical Clutches in our area. We offer a wide variety of Electric Clutches in the Xtreme line up. With over 3,000 parts numbers available, we have stocked the most popular OEM replacements so we can bring you fast service and fulfillment of your needs when it comes to PTO mounted Electric Clutches. We have cross references available for ease of acquisition for the correct part numbers to fit your application. We are proud to associate our line up with the Xtreme Team. We look forward to fulfilling your needs when you need the Power of reliable PTO deck engagement with Electric Clutches that are built with features better than they have to be. We can offer drop ship direct shipments with fast turnaround keeping down time to a minimum. Check out our list of offerings, if you do not see what you need give us a call we will be glad to help. SSCS for over 40 years your resource for OPE parts and accessories. Xtreme Outdoor Power Equipment is an American owned and operated company. Xtreme has a complete in-house engineering staff. The Xtreme primary design mission was to improve existing designs at an affordable price. The design engineering criteria (design axioms) was to design a tougher, longer lasting, smoother, cooler running, rebuildable, lower cost clutch. Today the Xtreme line has over 2,000 clutch models. Xtreme Outdoor Power Equipment is a proud Lean Six Sigma company. Xtreme is an engineering-driven manufacturer with a 25 year engineering consultant, Lean Six Sigma black belt on staff. Xtreme’s Lean manufacturing methods make it possible to build and ship a single clutch order same day! Every clutch is 100% tested twice at final assembly and given the Xtreme Approval before shipping. During the GIE Louisville EXPO Yamaha introduced an exciting new line of MX series of engines designed for high durability and performance. Impressive fuel economy with low oil consumption delivers high performance and powerful operations to your equipment for the power you can trust. The MX engine series is equipped with sound reducing technology offering a quiet operating delivery of stabile RPM and utility power for dependability Yamaha is known for. 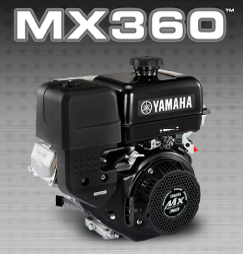 The MX360 and MX400 series engines feature metal, high capacity fuel tanks designed for extended run time capability and meet all EPA and CARB evaporative emission standards for the U.S.A.
Yamaha is the power you can trust for all of your OEM and RePower needs for utility equipment and Smith South-Central Sales is your source for Yamaha in our Five State region since January 2014. Jerry Freeman Retires to the Smith’s South-Central Hall of Fame. Jerry Freeman started with Smiths South-Central Sales in June of 2006 to manage the State of OK, TX Pan Handle and NW AR territory for SSCS. 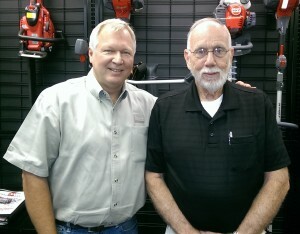 Jerry brought with him an attitude of can do having served the Outdoor Power Equipment Industry successfully for 30 years. Jerry Freeman with SSCS President Robert Smith. Jerry announced his official desire to retire by December of 2015 so that he may spend more time with his family and enjoy the fruits of his labor. Jerry is responsible for growth in success developing SSCS business relationships in the areas of his responsibility. Jerry has maintained his territory growth though out the years and we will miss him on a day to day contact basis. 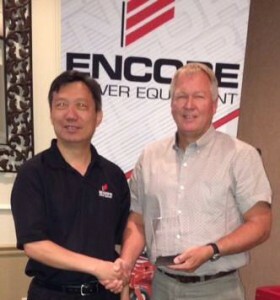 With Jerry leaving for retirement the company hired a long time Outdoor Power Equipment Industry Specialist in Sean B. Cryer. Sean through conversation with Jerry expressed his desire to work for Smith South-Central Sales in the Oklahoma area. Sean has been riding the area with Jerry since mid-September. Sean has big shoes to fill but we are confident Sean is the right man for the job to serve the Oklahoma Territory. We are pleased to announce that Sean Cryer joined Smith South-Central Sales Team in September as Territory Manager for Oklahoma. He will fill the position left vacant by the retirement of Jerry Freeman. He and Jerry have worked in the territory together for the past few months to familiarize Sean with the SSCS programs and customer base. Sean comes to SSCS having worked in the OPE industry since the early 90’s with a proven record of relationship sales and service in the OPE industry. It is his goal to serve and satisfy the needs of Smith Customers with reliable, dependable product knowledge of the products we represent. Sean has built credibility with his customers in the past serving them with dependable customer service in his vast areas of responsibility. Sean is well versed of helping in all areas of retail and distribution. With Sean’s well rounded experience of proven dedication in the outdoor power equipment industry and sharing values we at Smith hold dear, we feel he will be an excellent Territory Manager that can truly be of service to SSCS customers in the Oklahoma Territory. Sean and his 2 daughters reside in Owasso, OK. We look forward to having Sean in the territory to represent SSCS for the future to serve our customer base. Unveiled at GIE October 21, 2015. 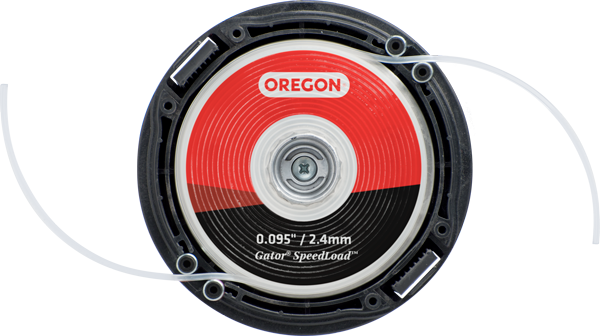 The Gator SpeedLoad™ will change the way you think about trimmer line replacement! 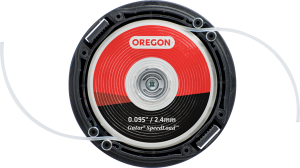 By utilizing a durable, pre-wound disk the Gator SpeedLoad™ eliminates all winding and spooling, enabling you to replace trimmer line in seconds! Reducing time lost and increasing your profit! The Pro Head 24-500 and SpeedLoad™ Trimmer line Disk are now available from Smith’s South Central, so check your Smith’s Dealer Advantage Catalog for special PSO savings on this breakthrough product and place your order today! See The Gator SpeedLoad™ in Action! Smith’s South-Central is proud to provide service to the five state region, with seven territory managers working in the field every day and friendly, helpful staff in house Smith’s is here to help your business grow! We are excited to announce that Smiths South-Central Sales Company has been appointed as the Exclusive Yamaha Multi-Purpose Engine Distributor for the states of Arkansas, Louisiana, Mississippi, Oklahoma, and Texas. As the exclusive Yamaha engine distributor, Smiths’ responsibilities will include supplying the outdoor power equipment dealer, rental, and OEM customer base with all Yamaha multi-purpose replacement engines, engine parts, technical, and warranty services. Smiths South-Central Sales Company’s long history serving sales, service, and rental dealers in the outdoor power equipment industry makes them the ideal choice for supporting the Yamaha outdoor power equipment growth objectives. Yamaha multi-purpose engines are currently standard equipment for many recognized worldwide equipment brands, with the expectations of many new OEM’s to be added as Yamaha expands its multi-purpose engine product line. Smith’s South-Central Sales Company, located off S. Arkansas St. in Springhill, was named “Business of the Year 2013” by The Forum and the Greater Shreveport Chamber of Commerce for their outstanding success and civic contributions in early September. The Forum Small Businesses of the Year are solicited from the greater Shreveport business community and The Senior Council of Retired Executives decides the winners. Smith’s South-Central Sales is one of the elite six that was honored for 2013. Smith’s South-Central Sales Company is a wholesale distributor of lawn and garden parts and outdoor power equipment, swerving more than 1,200 independent retail businesses throughout the tri-state region and into Oklahoma and Mississippi. From their facility in Springhill, La., the company distributes from brand names such as Oregon, Maruyama, Efco, Troy-Built, Encore and Columbia. The company was started by W.F. Smith “Billy” Smith in 1972 as a Mobile Oil Company gas and oil products distributor, and then transitioned to a new product line in the late 70s and a new name in 1995. Smith’s son Robert N. Smith, president, and daughter Rose S. Taliaferro, secretary-treasurer, now also run it. After hard work and years of growth, the company went through a potentially devastating loss of a major product line in 2009, but after much prayer and careful thought, the team was able to develop a plan that allowed them both to continue their current product lines and prepare for future expansion. 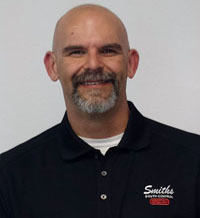 Today, Smith’s South-Central Sales Company has 32 employees and a 27,000-square-foot distribution facility, supports many scholastic, civic and industry organizations, and is looking forward to plans for major equipment upgrades to their fuel dispensing station that will allow them to be viable for years to come, as well as 10,000-square-foot facility expansion in 2015.